Adobe finally bought into a dream house. The San Jose-based company recently began leasing a 3,000 sq ft space in Santa Monica (at 429 Santa Monica Boulevard), making this its first big push into the entertainment market with the setting up of a full-service shop for the LA creative community. Adobe’s Creative Cloud tools are used extensively throughout the motion media industry for commercials to independent films. However, habits die hard. Hollywood’s editors were trained mainly on Avid’s Media Composer, and some see little reason to change once they got comfortable. Today Premiere Pro has emerged as a go-to editing application at commercial production houses and advertising agencies, for YouTube creators and more. Premiere Pro has also been used in big blockbuster productions such as Gone Girl, Stranger Things, Deadpool and others. David Fincher’s Gone Girl, the first major feature to rely on Premiere Pro entirely for editing, was the app’s initial win in the LA post scene. Adobe’s coders built a realtime storage architecture that enabled use of huge storage networks that are de riguer for the way post is done here. Those capabilities were rolled into later versions of Premiere Pro. 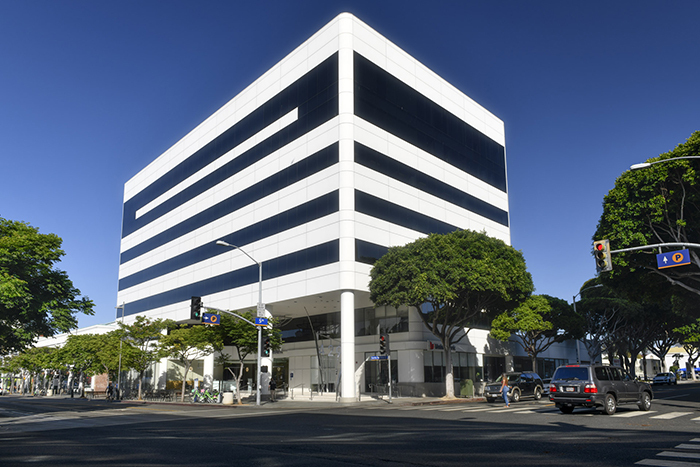 The new Adobe location is located in downtown Santa Monica. Image by Peter Zakhary, Tilt Photo. However, to make it in the post industry, Adobe needed more feet on the ground; any requests and changes required by an edit team on a multimillion dollar film needs immediate attention. No emails to the help desk here. 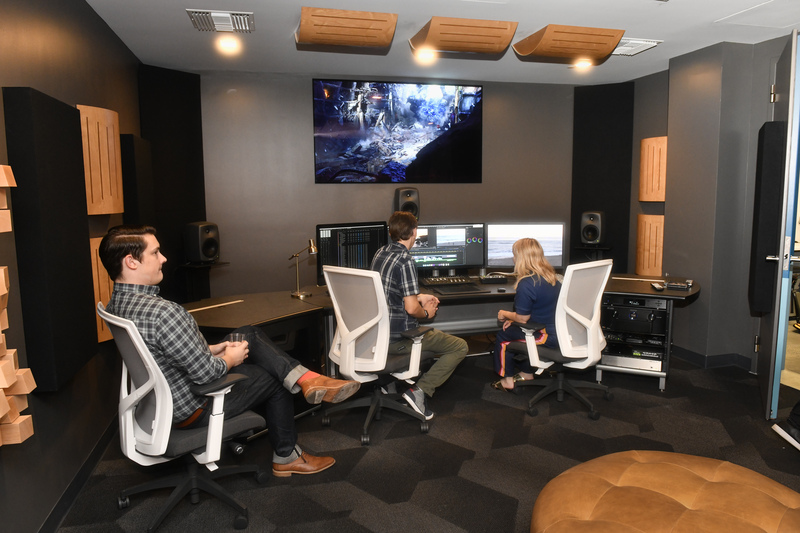 Instead, editors will head to the new office’s sleek edit suite to try out editing strategies, all the while learning from Adobe’s Hollywood team. The new office includes a luxe suite where editors can try out Premiere Pro while conferring with top Adobe advisors. Earlier this year, Adobe started a new Customer Advisory Board composed of high-level editors and postproduction coordinators; they’ll provide regular feedback about what they should be in new versions of Adobe CC apps such as Premiere Pro CC, After Effects CC and Audition CC. 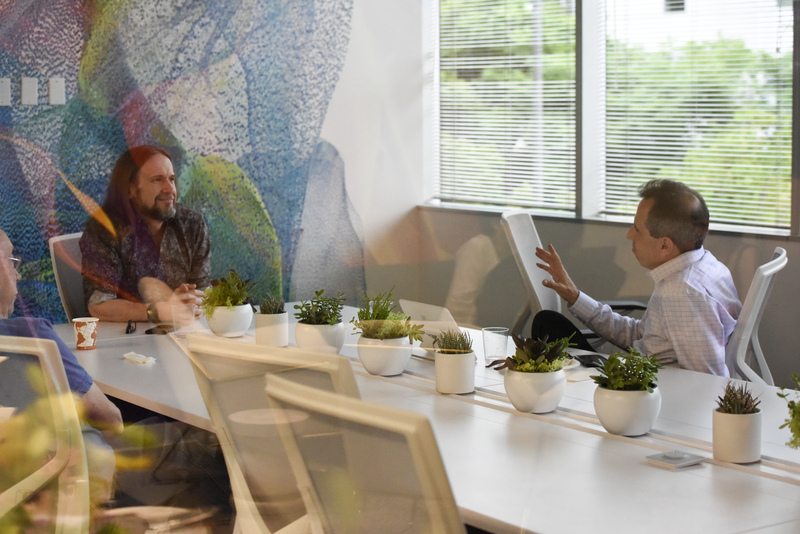 Michael Kanfer (right), Adobe’s Senior Strategic Development Manager for Pro Video and Film, played an instrumental role in Premiere Pro’s acceptance by the Hollywood post community. Will Adobe’s new LA office space help to increase Premiere Pro’s rise in the suites of Hollywood’s motion picture editing elite? Time will tell. However, if its continued adoption by commercial production houses, advertising agencies and independent filmmakers is any indication, it’s Premiere’s time in the spotlight.